This post is sponsored by Eclectic Products, the makers of UNICORN SPiT + Famowood Glaze Coat, but all opinions are mine. Thanks for supporting the brands that support me! A few months ago, I installed wooden shelves in my daughter’s bedroom closet. The purpose of the shelving was to house her various small toys and create a respite in her relatively unused walk-in closet. I’d imagined a space where should could play with her dolls and share fun moments with her cousin, while also keeping her clutter out of the main living spaces. It worked really well! She loved having her own little space, separate from where she sleeps (the ultimate bad time for my four-year-old). The only problem? Once the initial novelty wore off, she stopped wanting to entertain friends in the space. When I asked her why she non longer enjoyed the space, she announced that it is boring. “It’s just wood”, she said, “It’s not pretty.” To my kid, pretty is everything. She loves all the traditionally girlish childhood things: Rainbows, unicorns, mermaids, glitter, and anything shiny. Her taste reads like an early 90s makeup case got tumbled around for a year and spilled everywhere. The brighter, the better. That’s how she likes it. While my taste is a little more subdued, I do encourage her to express her personality. So with this shelving finish, I took note of her affinity for bright colors and decided to run with it. Here’s how I created an easy rainbow stain for her existing pine wood shelves. This project can be messy, which is what makes it so fun! I typically apply stain or paint outdoors or in the garage but since the weather wasn’t cooperating for this project, I turned our dining room table into a workspace. To protect my table, I covered it with a plastic drop cloth and used disposable plastic bowls as a base to hold the wood roughly 3 inches above the table. Then I carefully sanded the tops and sides of each wood plank. I used special care around the edges to remove any splinters. After sanding, I brushed away all dust with a dry cloth. This is important to achieving a smooth finish. I chose one of my daughter’s favorite items, an acrylic rainbow photo frame, to use as inspiration for the color way of this project. The colors aren’t traditional rainbow (think ROYGBIV) but speak more to her bedroom decor. UNICORN SPiT is available in 14 amazingly bright color options and since, it’s a paint, gel stain, and glaze, it can even be mixed together to create the absolute perfect hue for any project. For instance, I added a little white UNICORN SPiT to a few of the colors to lighten them up so they’d more accurately match the inspiration rainbow. Don’t worry that this will tone down their vibrancy! The end result was color that was still just as saturated and bright as I’d hoped it would be! Since I wanted the colors to really stand out and enhance the grain of the wood, I decided to thin the UNICORN SPiT with only a small amount of water. The formula I used was 1 part UNICORN SPiT to 2 parts water. Then I used a bamboo skewer to thoroughly stir the mixture. I decided to create a rainbow grid with a fade effect between each color. To space every color evenly, I measured the length of my board and divided that number by six (the number of colors I was using). Then I used a faint pencil line to mark where each new color should begin. I began the application at the interior of the wood plank, where my line was drawn for my first color change, and moved the stain towards the edge. I used long, sweeping brush strokes and allowed the stain to puddle near my color change line. This would allow me to create a unique color transition (below). For a unique marbled effect, I began each new color just slightly removed from the previous color’s lines. I stained the plank and then used a dripping technique to marry the two colors, without mixing. I repeated this process with each new color and on every board. Since UNICORN SPiT is water soluble, I was able to use the same brush for the entire project! A quick rinse between each colors kept everything looking crisp. You’re done with the stain at this point. UNICORN SPiT can be used entirely on its own, without a glaze. Since my daughter likes everything shiny, I decided to coat each board in Famowood Glaze Coat Epoxy Coating. I even threw in something a little special for her! I allowed the stain to dry completely before beginning my glaze process. The drying time was between 2 to 3 hours. It was much faster than a typical stain! Before I began the glazing process, I added some of my daughter’s favorite stickers to the boards. Since the epoxy coating is extra thick, the stickers became permanently imbedded. So if you’re worried about the longevity of this project, keep this in mind: Whatever you put under the glaze will be there forever. I used two disposable cups to measure. Since the mixture is 1:1, I didn’t eve have to get any special measuring containers! Each cup had a little lip that I used as my measuring point to make sure both were equal. Refer to your package directions, in addition to this tutorial, and you will see that you are required to mix the solution for a full twelve minutes. First, for six minutes in your first container. Then you will pour that solution into a clean container and stir for an additional six minutes. I recommend that you consult with the directions on every product you use. Please don’t use this blog post as your only guide for working with chemicals. Safety first. Read the directions. 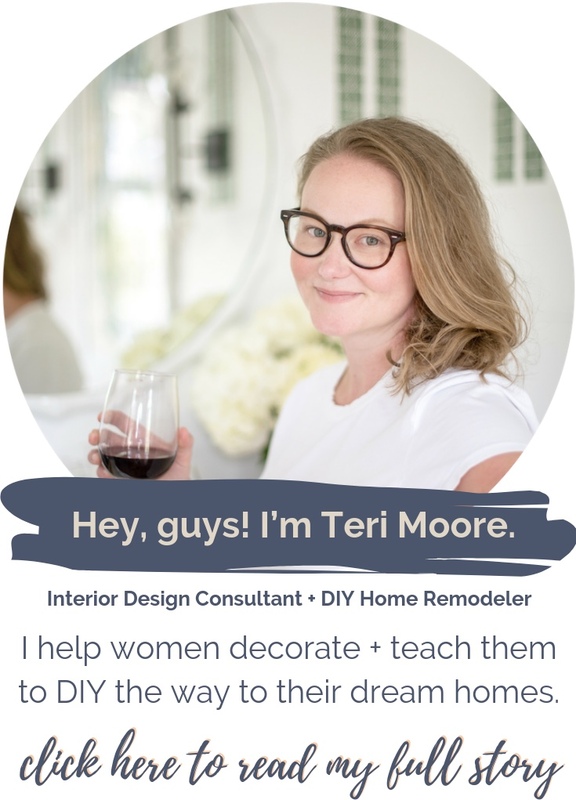 T. Moore Home, LLC holds no liability for failure to properly execute DIY projects. You can read more about our “information only” policy here. I began by pouring puddles of glaze down the direct center of each plank of wood. Then I used a plastic trowel to smooth the glaze out to the edges. Don’t worry about getting the entire surface smooth. Glaze Coat Epoxy Coating is self-leveling. So just like nail polish, it will harden evenly when applied no thicker than 1/8”. Once the board is completely coated, set up a tent over the project to protect it from debris, and then allow to harden for 72 hours. I couldn’t stop checking on the project. Each time I looked, it got better and better! I especially love the depth of the grain and knots in the wood, now that the colors have saturated them. The glaze even added a layer of depth I wasn’t really expecting but I love!! Here's how I added toy storage in my daughter's closet and turned this unused space into a playroom she loves! Once the epoxy dried and fully hardened (72 hours), I was able to reattach the wooden planks to the braces I’d previously installed in my daughter’s closet. These are just simple 2x2’ boards, screwed directly into the studs. Then I used wood screws to attach the shelves directly into the braces from the top. The screws and braces are visible from certain angles, so I’ll probably go back in and paint the braces to match the walls in the future. I don’t mind the visible screws because they are easy concealed by her toys. The shelves allow her to display her favorite items and she loves to use them during play as well. For additional toy storage, I placed plastic bins on the floor so she can see everything that’s inside. Each bin holds a different type of toy, making it easier for her to remember where to put things away. Asking her to tidy her space has never been easier. She feels so much independence now that she knows where everything goes and can easily access all the storage. 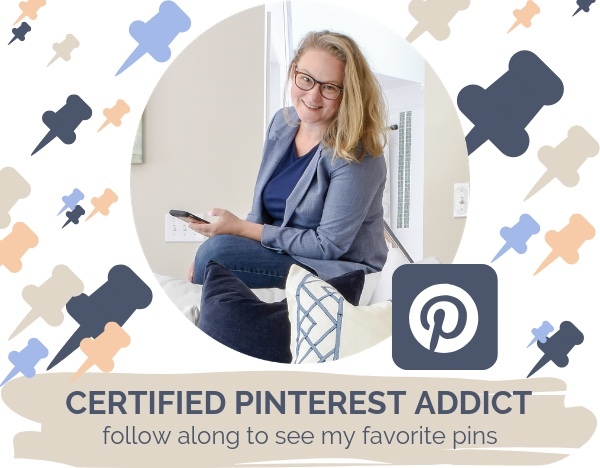 This project was completed as part of our At Home DIY Blogger’s Challenge series. Each month, we choose a new topic to tackle and come together as a group to motivate and inspire you to get your DIY hats on and get to work! This month’s topic is Home Improvement and boy has this project ever improved our home! The time spent on nightly clean-up tasks has been cut in half! I’d like to thank Eclectic Products, the makers of UNICORN SPiT + Famowood Glaze Coat, for sponsoring this fun project. In fact, I enjoyed this project so much that I even used undiluted UNICORN SPiT and some fun craft paper to transform an old shoe box into a special keepsake box to house my daughter’s jewelry! She loves this little box so much that she actually squealed when I gave it to her! It’s amazing how easy taming toy clutter can be when your kid loves the storage you’ve given her. UNICORN SPiT comes in a wide range of colors that would tickle any little kid - boy or girl - so remember to check out the entire line here and thanks again for supporting the brands that support this blog. 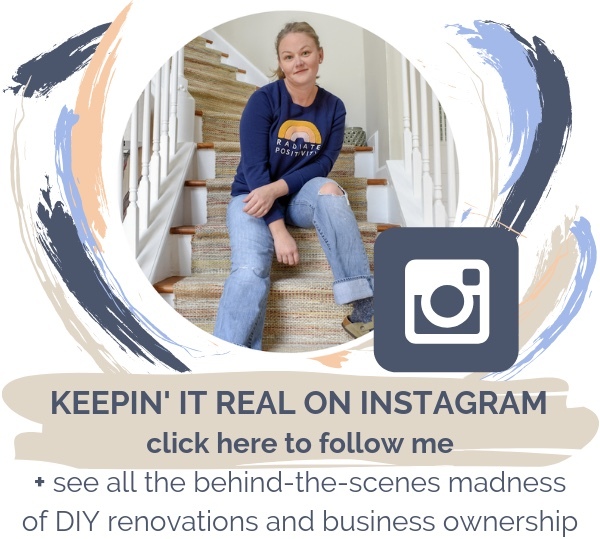 Without sponsorships like these, I wouldn’t be able to share all the free DIY remodeling and decor plans. 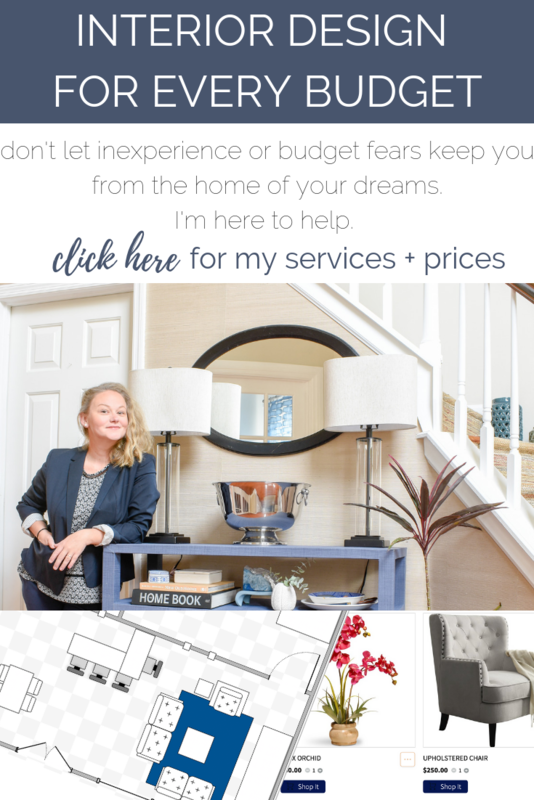 Helping people love their homes is my true passion and brands like Eclectic Products, the makers of UNICORN SPiT + Famowood Glaze Coat, make that possible.